In the morning, we drive to Dodome. Here we will arrange camels to transport your luggage and water, and then you will start hiking to the Erta Ale Volcanic hills (613 meters above sea level) which is 15km one way, and walk to see the volcanic eruption. 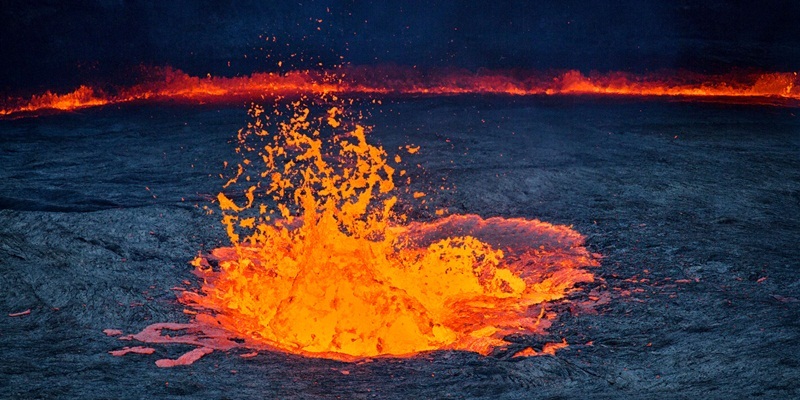 The eruption is so colorful and spectacular. At night, we will camp nearby the eruption, on the crater rim above the active lava lake. In the morning trek back to Dodome village, then continue driving to Lake Afdera, a highly saline body of water and lies at an altitude of 103 meters below sea level 2 and listed as the lowest lying in the world. 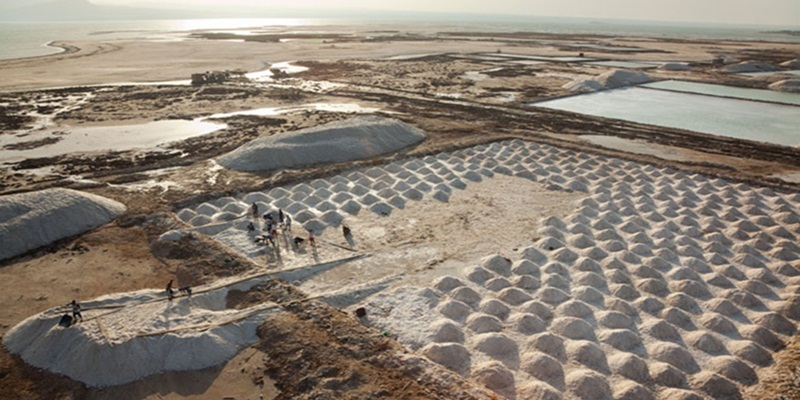 Here you will visit the salt extraction of the Afar people from the lake. In the morning after breakfast drive to Semera an overgrown Afar’s people settlement, and also served as the administrative capital of the Afar region. 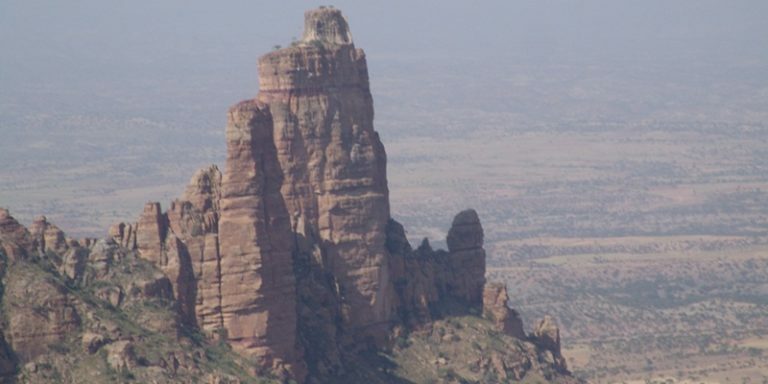 In the morning, continue driving to Awash, admiring the Northern part of the Great Rift Valley system and the lower Awash valley. Early in the morning, game drive at Awash National Park. The park takes its name from Awash River the longest river in Ethiopia. The river marks the park’s southern boundary and occupied by an area of riveriene forest, wetlands, acacia woodlands, savannah grasslands, rocky cliff hills and escarpment. There are well maintained tracks traversing the park, which takes us in the most spectacular areas to see different plain animals including greater and lesser Kudu, Beix Oryx, Gerenuk, Dik – Dik . . . etc, as well as more than 350 bird species which have been recorded on this 780 km2 Park. 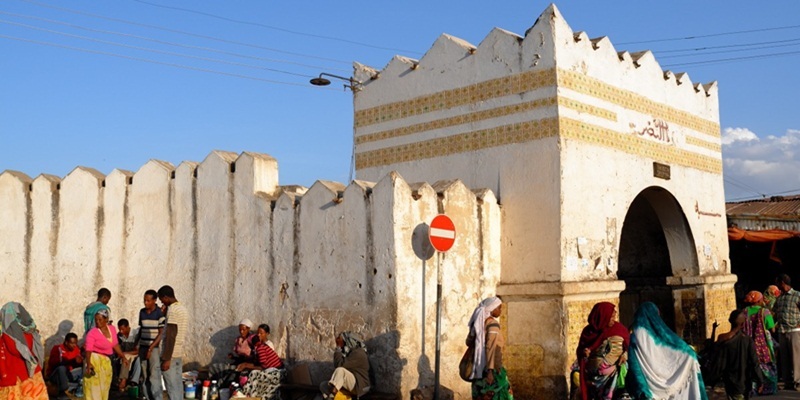 In the morning, leave Awash and drive to Harar, the holy Muslim city with its 99 mosques. The medieval walled city of Harar stands amid green mountains on the eastern wall of the Great Rift Valley near the Somalian border. 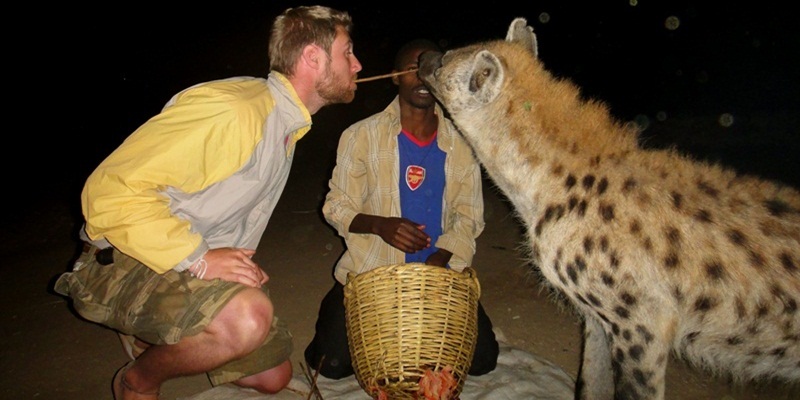 In the evening, you will visit the hyena man, while he is feeding the hungry hyenas and you will have a chance to stretch out your hands to feed the hyena. Full day visit of the old walled town of Harar, including the Harar National Museum, Arture Remboud House as well as both the colorful Muslim and Christian markets known for their basketry and the traditional Adere houses situated within the famous walled city. In the morning after breakfast, you will drive back to Addis Ababa admiring different type of landscape. Though your tour ends today we hope you will cherish forever your experience and memories of Ethiopia.